For retailers and most outlets, marketing is an art of persuasion. Many different factors influence the buying decision of the shoppers who walk into your store. The most common influences are the subtle and the obvious visual cues around the outlet, from the order of arrangement and colors to presentation and placement of products. When marketing new products, it’s critical that you consider the impact of colors on the buying decision. Research shows that the proper use of color increases brand recognition by 80%. It also raises the visual appearance by 93%. A further 85% of consumers buy because of color. Once you deal with eh issue of affordability, the visual appeal of an item is the major influence on a consumer’s buying decision. In fact, the color, make, look and feel of a product affects 93% of the buying decision. This is followed by texture which affects 6% of the buying decision and sounds and smell which affect 1% of the buying decision. Once a consumer starts walking towards an item that has his or her favorite color, the major part of the purchasing decision has already been made. When the four: color, design/texture, and smell are combined, the buying decision becomes powerful. When it comes to personality and visual cues, red evokes strong emotions, increases appetite, symbolizes passion and love and increases passion and intensity. In marketing, it is known to increase the heart rates, and it’s mostly used on impulsive shoppers. Red creates urgency often utilized during clearance sales. It stimulates appetite glands, and that is why it’s mostly used in lots of restaurants. It’s related to survival, alertness, safety and physical self. It’s used by Target, Heinz, YouTube and Netflix. 62-90% of shoppers make snap judgments based on the influence of this color. This color stimulates mental process, encourages communication, strains the eyes but also increases cheerfulness. In marketing, it represents optimism, youthfulness, and clarity. It’s used to grab the attention of window shoppers. In fact, research shows that it’s the first color that infants react to and that’s why it’s the color used on most baby products and toys. The color has one of the longest wavelength making it one of the most psychologically compelling colors. It’s also very visible and draws attention to itself. Too much yellow causes anxiety so you have to find the right balance when using it in your store. 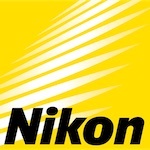 It’s employed by Nikon, IKEA, CAT, and DHL. This color is mostly associated with water, and it’s the preferred color for men. It curbs appetite and represents calmness and serenity. It increases productivity, and it’s mostly used in office spaces. It creates a sense of security and trust in a brand. People are 15% more likely to retain your shop if it’s painted blue. It’s also associated with productivity, and it’s non-invasive. Blue’s sense of confidence is what makes it the favorite color used by financial institutions. The color is also known to inspire loyalty. The JP Morgan, Facebook, American Express, LinkedIn, and Dell use this color on their brands. It reflects enthusiasm and excitement and shows warmth. It’s also the color of caution. In marketing it signifies aggression, and it’s used to influence impulsive buyers. Brands with orange are viewed as cheerful and confident. It’s used to create a call to action i.e. subscribe, buy or sell. The color is associated with affordability and good value. That’s why it is used in thrift stores like Payless and Home Depot. Amazon, Nickelodeon, Hooters, Mozilla and along with some coupon sites like Coupon Cabin, Domain Promo, FatWallet also use orange in their brands. It signifies health, serenity, and tranquility. It denotes nature and alleviates depression. The human eye is able to designate the most shades of green. It represents new growth. In marketing, it is used in stores to create a relaxed feeling. It is associated with the wealthy. It has long been a symbol of fertility. Marketers use it to attract eco-friendly clients to their stores. Green used to be the preferred color of wedding gowns in the 15th century. Spotify, Holiday Inn, Land Rover, John Deere and Whole Foods use this color. It’s the color of royalty, success, wealth, and wisdom. In marketing, it is used to soothe and calm. It’s often used in cosmetics and anti-aging products. Purple represents an imaginative wise and creative brand. Yahoo, Craigslist, and Hallmark use this color on their brands. This color is the perfect blend between the stability of blue and the energy and power of red making it the most common color in luxury brand items. It’s the most used color in the creative industries since it’s the color creativity, mystery, and regeneration. Marketers have to keep in mind that too much purple invites distraction and introspection. This is the color of sophistication, mystery, power and control. It’s the color used to sell sleek items, and brands sold to those who like reserved brands. It mostly dominates the high-end cosmetic packaging industries, especially upscale lipstick and blushes. When used too much it can be subliminally repulsive as it will denote negativity and oppression. This is also a great color to use as it draws attention in a subtle and subsumed way. It is a prominent and internationally recognized color, and its best used when you want to create a sterile or institutionalized feeling in your store. Gucci, adidas are among the brands that use black color. It denotes cleanliness, purity, and safety and can be used to project neutrality. White is mostly used to add breathing space and open up a crowded area. It’s the most common color used by marketers when advertised coupons and price discounts. White is the best color to use when you want to create contrast on your shelves and aisles in an outlet. In fact, some of the biggest global brands like Google use white to create contrast on their home pages. White is the color of clarity, freshness and used to spark creativity. That’s why it’s the most common color in office blocks. Most tech firms use color value or green which creates a sense of liveliness, calmness, and refreshment. This, in turn, drives higher face-time of the social media platforms. Financial institutions use blue to create a sense of trust, security, and dependability. Meanwhile, most retail outlets use orange or green as their brand colors to drive a sense of cheerful optimism and stability. Lots of food outlets have shades of red in theory logo or stores because of the perceived ability to whet people’s appetites. The markets have become more competitive, and product cycles have shortened, and therefore every marketer has to exploit each rule in the book in order to generate sales. 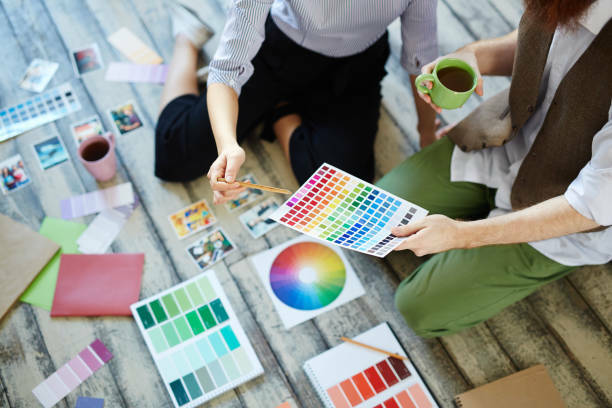 Utilizing the psychology of color is common in many industries including retail sales, real estate, fishing, military, auto-manufacturers, and restaurants. Subtle changes in color schemes, distribution, and arrangement can influence both sales, brand loyalty, conversion, and reliability. At the end of the day, every firm has to think through how their brand colors affect customer reaction and the eventual sales. Colours also have negative connotations, which you don’t mention. The art of choosing an appropriate colour is always about balancing – no? Yes, colors can have negative connotations, but this mainly depends on the context. For example, the color red could be associated with blood, but when used in relation to a children’s toy, it has a fun and stimulating vibe. When used in a restaurant logo, red stimulates the sensation of hunger. Another example: The color blue can be associated with a glum or sad feeling, but when used in a technology or financial services company logo, it tends to inspire the feeling of trust and stability. So again, color meaning and effective use relates to both context and intent. Thank you very much for this insightful post. It is amazing what colors tell us about a brand, person, etc.